A top Clinton Foundation official expressed reservations about former President Bill Clinton contacting a Saudi Arabian and Ethiopian billionaire to thank him for offering a plane ride to Ethiopia — unless it would mean a seven-figure donation. According to a briefing memo contained in an email chain released by WikiLeaks, Sheikh Mohammed Hussein Al-Amoudi of Midroc had pledged to donate $20 million over 10 years to the Clinton Health Access Initiative. But an economic downturn caused the sheikh to delay payments. The health program did not receive payments in 2010 or 2011. In an email released by WikiLeaks Monday, Clinton Health Access Initiative CEO Ira Magaziner suggested in November 2011 that Clinton call the sheikh. “CHAI would like to request that President Clinton call Sheikh Mohammed to thank him for offering his plane to the conference in Ethiopia and expressing regrets that President Clinton’s schedule does not permit him to attend the conference,” he wrote. WikiLeaks released more of the email chain on Tuesday. Amitabh Desai, director of foreign policy at the foundation, expressed reservations — unless the sheikh had caught up with his financial commitment. “Unless Sheikh Mo has sent us a $6 million check, this sounds crazy to do,” he responded. 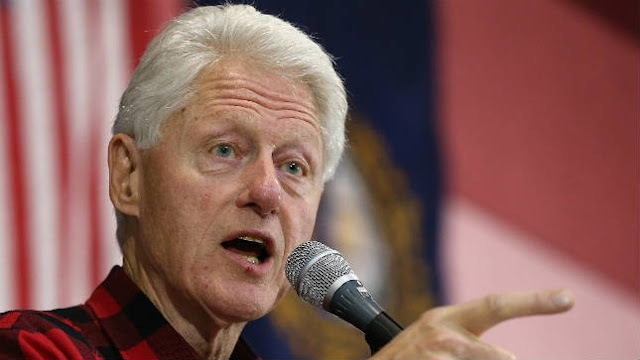 But Bruce Lindsey, chairman of the Clinton Foundation’s board of directors, argued in favor of the plan. Sign up for a Merrill Lynch Webcast on how to share money management knowledge with your child at any age. The sheikh was born in Ethiopia to an Ethiopian mother and Saudi father. He later moved to Saudi Arabia and made a fortune in construction and real estate before buying oil refineries in Sweden and Morocco. He approached the Clinton Foundation in 2006 and proposed donating $2 million to the health program for every year that Clinton visited Ethiopia. The final agreement the parties struck mentioned a payment schedule but did not tie the money to Clinton’s visits to the African country. In 2008, the sheikh donated rooms at a Sheraton hotel in Ethiopia and meals for Clinton and a large party for four days — two days longer than originally planned because of aircraft problems. According to Clinton Foundation documents, the sheikh contributed $5 million to $10 million, though it is unclear how much of that came after the email exchange. The memo laid out strategies for getting the sheikh to cough up the money he owed and detailed discussions with George Salem, the sheikh’s Washington-based lawyer, and Irvin Hicks, a former U.S. ambassador to Ethiopia and one of the sheikh’s representatives in Washington. Charles Ortel, a Wall Street analyst and critic of the Clinton Foundation, told The Daily Caller on Monday that accepting free travel and other benefits without declaring them for the Clinton Foundation could run afoul of tax law. “It’s highly illegal and it’s likely that the owners of these aircraft took tax deductions as a gift to the Clinton Foundation,” he told the news site.